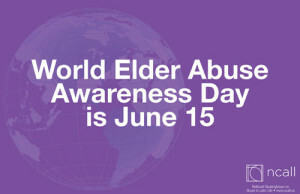 RECAA will be joining Contactivity Seniors’ Centre to host an event marking World Elder Abuse Awareness Day. The event will take place June 15 from noon – 3 p.m. at Contactivity. Please see our Facebook event for more information. We gratefully acknowledge funding from Ageing + Communication + Technologies (ACT) through the Social Sciences and Humanities Research Council for this project.